Hot on the heels of Self Made Hero's announcement of an English language translation for Quai D'Orsay, illustrated by my one of my favourite artists, the superb Christophe Blain (more of which here), today Blank Slate Books revealed they would be publishing a new book by German artist Thomas Wellman. 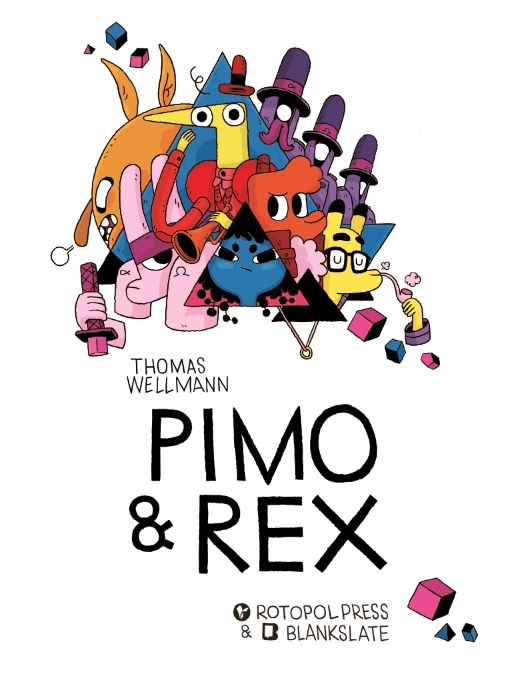 Titled Pimo and Rex, the book will be published in collaboration with German publishers Rotopol Press and will release English and German versions simultaneously this October. 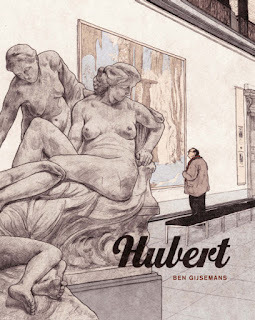 There's not a great deal of Wellman's work available in English, but I've read his contributions to the excellent comics anthology Neufundland, as well as a story in s! 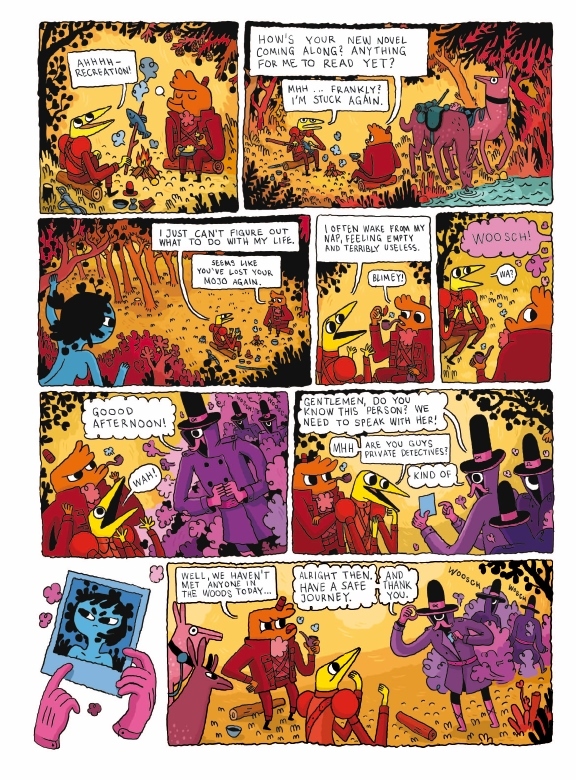 13 Life is Live from kus komiksi, and really like his art style, sort of an amalgamation of the styles of Ines Estrada and Zac Gorman. Pimo and Rex follows the titular characters- Pimo, an aspiring novelist and his friend Rex, a successful chef. 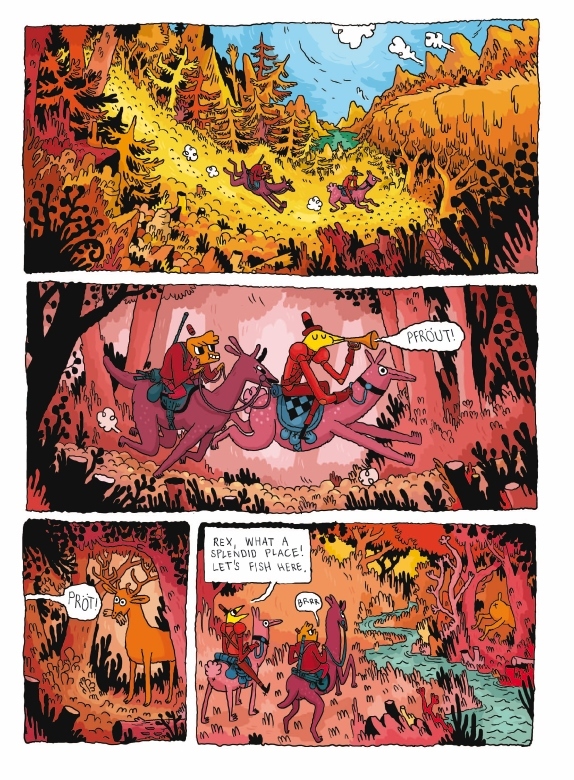 I have to say UK comic publishers are doing a sterling job right now, with Cape focusing more on curating home-grown talent and Blank Slate publishing some great titles this year; incredibly encouraging. A good week for comics!